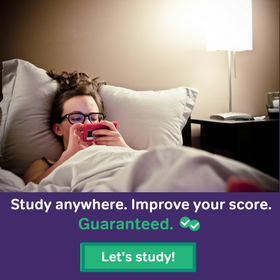 Magoosh has a free study app that gives you access to blog posts, study guides, practice questions, and video lessons, all from your phone. It’s great for studying while commuting, traveling, standing in line, or otherwise on-the-go. * If you already have a free trial account or a paid premium account, you can use your existing credentials (email and password) to log in to the app. Free trial users will be able to access 40 questions and 70 lessons. Premium users will be able to access all 1000+ practice questions and 200+ lessons. Once you have watched a video lesson, the video icon will fill in with your progress. If you mark a lesson as “I understand this!” then the video will be checked off. After you have watched and/or completed lessons in each category, the whole category will be checked as completed. Congrats! We encourage students to start with a few practice questions to learn about their strengths and weaknesses. Always read the text explanation and watch the video explanation for each answer, even if you got the question right. They will give you tips and tricks to approach problems more strategically. Next, fill in your knowledge gaps by watching the relevant video lessons. Then go back and do more practice problems to solidify what you have just learned. 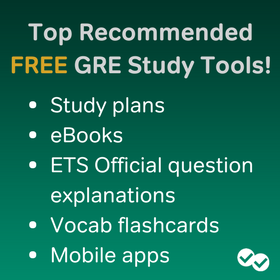 Q: If I purchase a GRE premium account online, what content will I see on the mobile app? 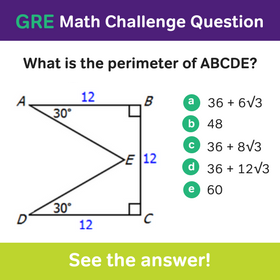 A: When you purchase GRE Premium you gain access to all 1000+ practice questions, and 200+ Video lessons that will populate in the mobile app. Free users can view a selected sample of questions and lessons through the mobile app. Q: Are the practice questions I see in the app the same as the questions I see on my online account? A: Yes! Access your practice questions either online or on mobile. Q: How is my progress measured? A: We measure your progress by the number of videos you fully watch or mark as “I understand.” Watching part of a video will increase your progress only fractionally. A: You can change the video speed in your Profile tab under “Videos > Playback Speed.” Tap the title to change the speed by 0.25x increments. Q: I have some questions — how do I get in touch with Magoosh? A: We love questions. You can contact us directly through the app. Go to the Profile tab and tap on “Magoosh > Have a question? Email us!” We are happy to hear from you. Have other questions? Leave us a comment below. Jessica helps make the Magoosh products engaging and effective study tools. She has over eight years of experience in education and curriculum design having earned her BS in Science, Technology and International Affairs from Georgetown and her Master in Mind, Brain and Education from Harvard. When she is not thinking about product design, you will find her on the ski slopes!